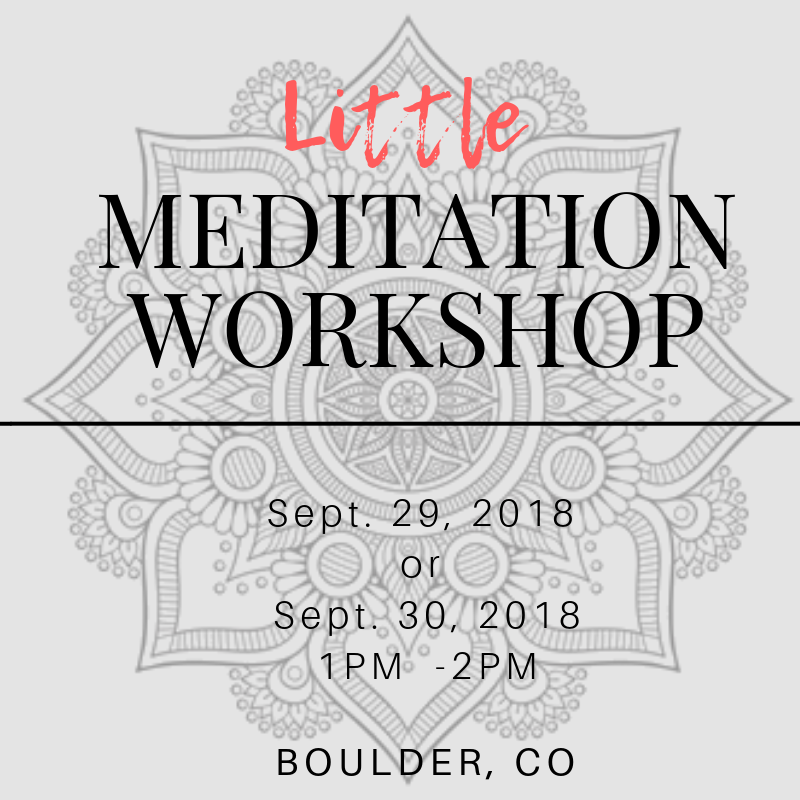 The Little Meditation workshop is a unique sacred space where you can let your child explore and learn meditation in a safe, calming, atmosphere while you are getting some of your own meditation time! This class is open to kids all ages.. Adults will learn how to connect, bring non-judgmental awareness and mindfulness with your child through breath work, mindfulness activities and introduction to meditation for the 1-hour duration of the class. The class structure and environment are about teaching our children to love meditation and grow a curiosity to it as they also learn to apply helpful tools that they can take with them out into the world. We as the caregiver will set the examples for them even in our breathing! We also want to create stillness within as a parent. This is best taught thru our living example of an active meditation practice with our children involved. The goal is to get families meditating on a regular basis, I want you to connect with your little ones while having fun together! Two days available to choose from!